is a third-generation Rotarian. His grandfather was a Rotary charter member in 1922, and his father served as District Governor in the Atlanta area. 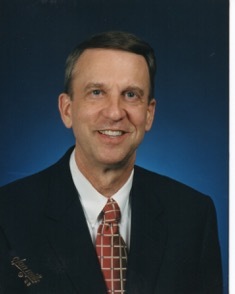 Kirk has been a Rotarian since 1991: 20 years in Illinois (president of two clubs and assistant governor) and 5 years in Arizona (Catalina Rotary president). Here in District 5500 he will be our District Governor beginning in 2018. In his professional life he was pastor of United Methodist congregations in the Chicago area for 37 years, most recently at Trinity UMC in the northern suburb of Wilmette, the church featured in the Hollywood movie Home Alone.